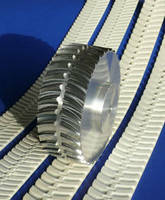 Available as open ended or welded endless belts, ATN timing belts come in regular AT10, AT10 tooth profile with Â½ in. 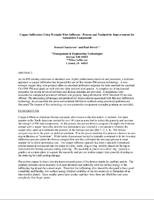 tooth pitch, and regular AT20 tooth pitches. Belt profiles can be assembled by hand utilizing accompanied mounting screws and inserts, while belt length and profile location can be chosen by increments of one tooth. Profiles can be made of any material to fit application (also material mix), and can also be assembled and disassembled without removing belt from machinery. "Convertible Profiles" - Most Successful "ATN Technology"
BRECOflex CO., L.L.C., the pioneer and world leader in the polyurethane timing belt industry, is proud to announce the most successful "convertible profile technology - ATN". 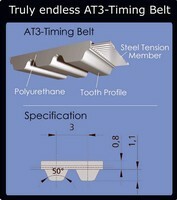 ATN timing belts are available as open ended or welded endless belts. The belt profiles can be easily assembled by hand utilizing the accompanied mounting screws and inserts. The belt length and the profile location can be chosen by increments of one tooth. Call for our free engineering support! 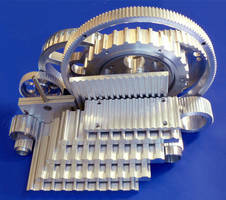 Miniature Drive Belt System features arched tooth profile.